These are Basic Economy Fares that include a regular sized carry-on. You can upgrade to main cabin for $30 each way to include a checked bag and advanced seat assignment. Use ITA Matrix Software to find the best dates. 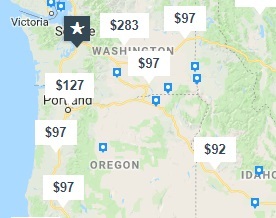 Book direct through Delta.com for the frugal fares!